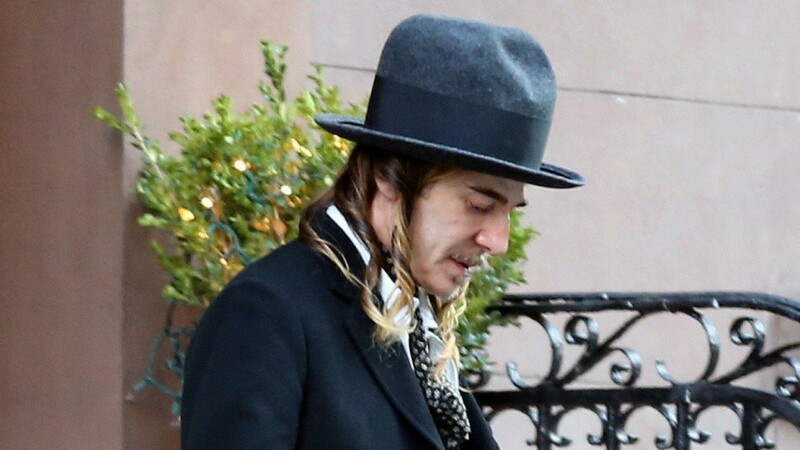 John Galliano is an eccentric fashion designer who rose to the top of his field with Givenchy and Christian Dior. Now he has fallen from that great height because of a couple of racist outbursts, the last one caught on film in a Paris Cafe. Christian Dior dumped him and he fronts in court on Wednesday 22 July 2011 to face the legal music. We do not have a time of birth for John Galliano but we do know he was born on 28 November 1960 in Gibraltar. What in his horoscope could explain the racism? I’ve added the video footage so you can hear what he said because it also seems to be very misogynistic. So for things related to women we’d be looking to the Moon and Venus, and for racism I think Saturn, Pluto and the lunar nodes. Saturn rules hereditary things like our tribe and race, Pluto rules genetics and extremism, and the nodes also have a link with family lines. You see in the chart he has Sun square Pluto which gives the extremism. Pluto is also with the north node linking any extremism to his karmic associations with groups. Moon square Venus would cause some tension with how he relates to females, especially with Venus conjunct Saturn. Possible lack of love and affection from his mother early in life. Venus conjunct Saturn is the real stand out in the chart for what we are looking for. An underlying lack of self-love, which may have been over compensated for by the flamboyant self-expression and dress. This chart is set for noon and that gives an exact conjunction, extremely potent. Depending on the time of birth, at most the orb would only be half a degree. None of these aspects in his chart on their own should be any reason for racism or misogyny. Sun square Pluto North Node, Moon square Venus Saturn. Perhaps all together it adds up to this tendency though. These are the likely culprits in the natal chart because both were hit by transits on the evening of 24 February 2011 when his rant was caught on film. The quarter Moon that evening at 6 Sagittarius was conjunct his Sun (square Pluto North Node). Retrograde Saturn at 16 Libra was square his Venus Saturn (exact 22 February). A couple of months before, Saturn was direct at 16 Libra when he was first accused of racial abuse in December 2010. So again the stand out in the transit is his Venus Saturn conjunction. The negative manifestation of this aspect, brought out by the square from transiting Saturn, is cold and unloving, mean and nasty. These planets in his chart are both on a major fixed star called Vega. Ebertin says this star gives artistic talent but can lead to a debauched life for eccentrics, and that with Venus it lead to riches and fame but “if other influences play a part, this wealth may be lost again.” Well the “other influences” here are Saturn conjunct Venus and triggered by the square from transiting Saturn. Robson hit the nail on the head in this case with his interpretation for Venus with Vega, “Hard-hearted, cold, miserly”, and with Saturn “Strong passions, opinionated, original, many Mercurial difficulties”. Mercurial difficulties in this case being his hard-hearted words. So Venus on Vega is just like the negative expression of Venus conjunct Saturn, cold and unloving, and the square from transiting Saturn brought it all out in an ugly way. One more hit from transiting Saturn, 13 September 2011. I think the Lord of Karma is coming back to bite! Yes Rosa, I felt like he’d been made a scapegoat. I think I said in an earlier comment that he just became the mouthpiece for a certain kind of bitchiness that comes from people in fashion. He’s no worst than anyone else. I went to art school and the fashion people were always very sharp of the tongue shall we say, but it was done in an ironic, tongue in cheek way, sometimes this doesn’t translate, and if your are off your face drunk and being goaded then the worst demon is going to come out to play. I would’ve liked to see where his Eris was, she’s good at putting her foot in it!